What age do you need to be to enroll in classes at BDA? Students must be age 3 at the time of enrollment and potty trained. Yes we offer classes for adults. Please check our schedule for more information. What are your performance opportunities? For our younger dancers (ages 3-8), we present an in-studio performance during Parents Week each term. Each term’s performance features upbeat music and a fun theme. (Some past examples include The Nutcracker, Peter Pan, Tangled, Frozen, and The Little Mermaid.) Parents, relatives, and friends are invited to the studio to see the children dance. The studio provides children with costumes to wear during performances. This format allows children to experience the joy of performing without pressure or high expense. Our goal is to have children performing in age appropriate settings. We also offer two pre-professional performance opportunities a year, through our non-profit dance company, the Barrington Dance Ensemble (BDE). Performances are presented at Barrington High School. We present a Nutcracker each year in early December, as well as a Spring Ballet during the month of June. These productions are cast by audition only. We do not have “recitals” as we feel that class time is more wisely spent learning dance technique rather than memorizing a dance. However, we do offer two pre-professional productions a year through BDE that the students may audition for and perform in if they choose to do so. Nutcracker auditions are open to children ages 6 & up. BDE Spring productions such as “Under the Big Top” and “Scenes From Childhood” involve BDA students on a rotating basis. 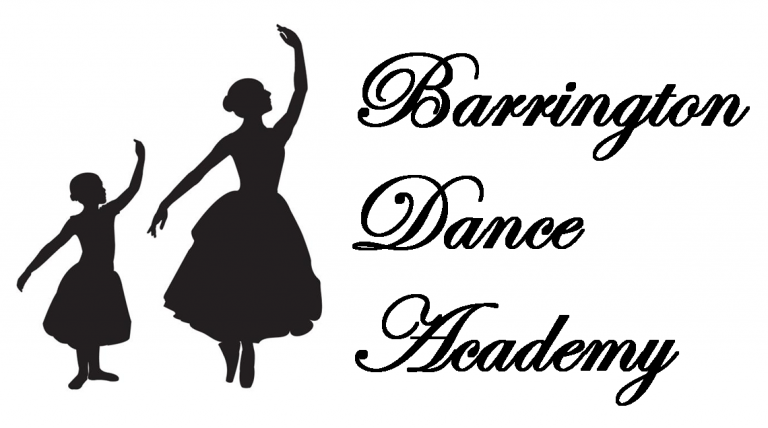 What is the difference between Barrington Dance Academy (BDA) and Barrington Dance Ensemble (BDE)? In short, the BDA studio provides dance classes, and the BDE company provides performing and outreach opportunities to dancers. Both of our studios are equipped with injury-prevention sprung floors & a marley flooring surface to prevent slipping. What method of ballet do you teach? Classes for students age 3 to 11 are based on the Royal Academy of Dance Syllabus (RAD). All of our instructors are trained in the RAD syllabus. Older students receive training in various schools of dance, including RAD and other methods. All of our instructors are trained either as professional ballet dancers or college degreed professionals. What is your procedure for placing students en pointe? Our students begin preparing for pointe work in a Pre-Pointe class usually at the Junior III level. They add the 30 minute Pre-Pointe class to their regular training schedule. During this class, they work on demi-pointe in their normal soft shoes to learn pointe technique and develop the strength they will need to dance en pointe. Students begin pointe work only at the recommendation of their instructor. This generally begins at the Junior IV level. In order to be considered for beginning pointe work, a student must be at least 11 years old, have 3 full years of training, be taking a minimum of 3 technique classes weekly, and must have sufficient strength and technical proficiency. Once an instructor recommends a student for pointe work, a shoe fitting is scheduled with a BDA instructor. Students are not permitted to purchase or sew their first pair of pointe shoes without an instructor’s approval. This is to ensure proper fit. In the event of inclement weather please call 847-382-6333 for the status of classes. BDA typically follows District 220 for weather related closures. If lessons have been cancelled, there will be a recorded message on our answering machine, and an email will be sent out to all BDA families. Sessions will not be extended, nor will refunds be given for classes missed due to weather. However, students may make up their missed classes by attending any class on our schedule at his/her level or below. What is your schedule for Holidays & Breaks? Please note that BDA does not always close when District 220 is out of school. Please check our schedule or call for more information. What makes BDA the best choice for my student? Each family will have different reasons for choosing a dance studio. We believe that BDA stands apart from the rest because of its superior faculty and their warm caring approach with students. BDA is an excellent place for a student to grow in the art of dance, from experiencing the joy of a creative movement class as a young child to studying the art form more extensively as a teen. What styles of dance to you teach? On a year-round basis, we teach ballet, pointe, character, jazz, & creative movement classes. During the summer months and through special workshops, we supplement these styles by offering other styles such as pas de deux, musical theatre, hip hop, tap, and modern dance. How can I pay for a class? What is an average class size? A typical class size is about 10-16 students. We determine how many students are appropriate for each class based on students’ age and number of teaching assistants available.